Between the wind, rain and gray skies that have plagued coastal BC in recent days, my mind has been wandering to sunshine, water that’s as blue as the sky above and toasty warm sand. Though Vancouver Island is essentially surrounded by one big beach, there’s only one place to find that tropical feeling. 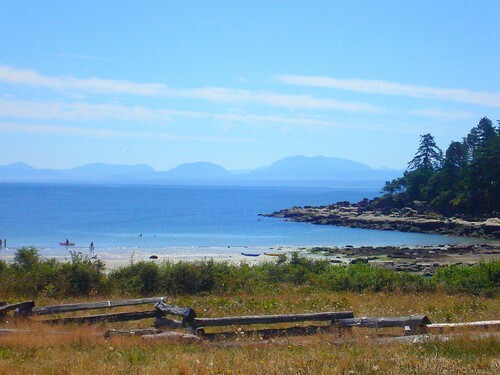 Tribune Bay Provincial Park – found on the southeast corner of Hornby Island – will dazzle you with its lush green forests, powdery white sand and aquamarine water. In fact, its main beach has long been lovingly nicknamed “Little Hawaii”. 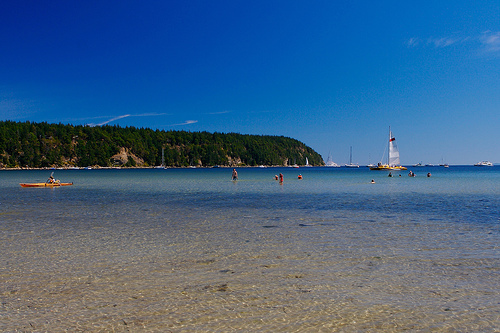 Almost every summer of my childhood was spent paddling in the translucent water and building enchanting castles in the sand of Big Tribune Bay beach. Bathers who are happy to leave their swimsuits at home might prefer the adjacent Little Tribune Bay beach as it’s designated as being clothing-optional. 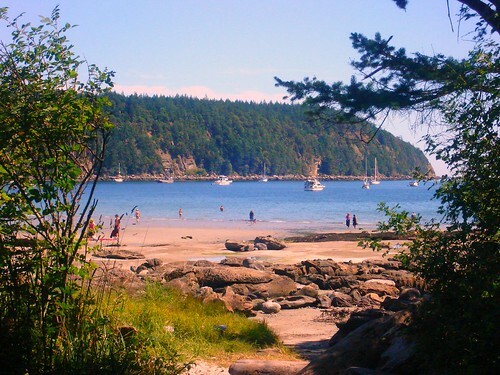 More than just luxe sunbathing, Tribune Bay Provincial Park offers a large number of recreational opportunities. Perhaps the most interesting feature is the rock formations that run alongside the western shore of the bay with tidal pools to explore and views that will take your breath away. The park also features boating, canoeing, fishing, hiking on designated trails and picnicking. 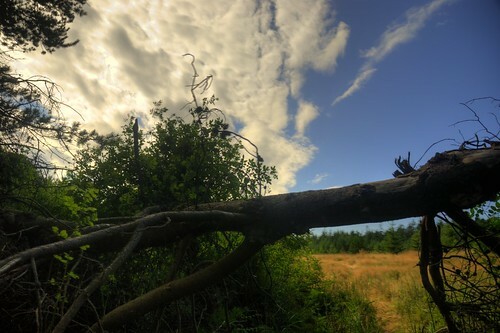 A nearby privately-run campground is available for those wanting to make a week of it. As a former student of Comox’s Brooklyn Elementary, I was fortunate enough to visit the park’s outdoor educational facility with my schoolmates. We enjoyed running through meadows and falling asleep to the sound of the gentle waves. For a province known for its parks with old growth forests and towering mountains, it’s surprising to find such a gem so far north of the Equator. As BC celebrates 100 years of parks, highlighting the diversity of park landscape in our province is an important part of that celebration. While it’s certainly impossible to chose the most beautiful, it’s not difficult to pinpoint Tribune Bay Provincial Park as one of the most unique – and one of my most favourite. 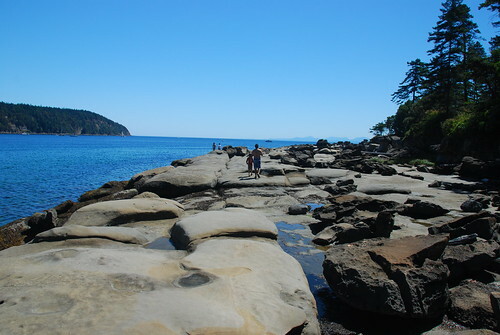 Hornby Island is accessible by ferry via Buckley Bay to Denman Island and on to Hornby Island. 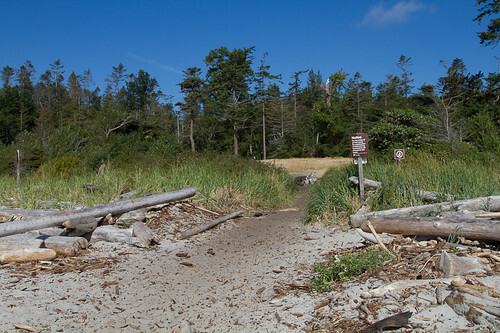 Tribune Bay Provincial Park is a day-use only park and campfires are not permitted in the park at any time. There is no drinking water available at the park and dogs must be kept on a leash at all times (though they are not allowed on the beach). There are no lifeguards on duty so swimming is at your own risk. Please remember to take all garbage with you. 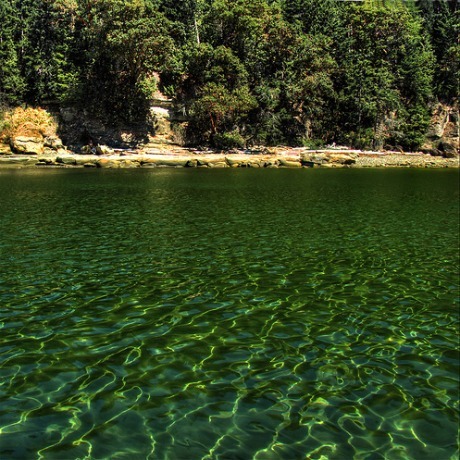 For more information on Tribune Bay Provincial Park, please visit BC Parks online. I like Big Trib, though I find that Little Trib to be more relaxing. Love Whaling Station too,..and can’t go to Hornby without a hike through Helliwell Park and a bite to eat at Vorizo. 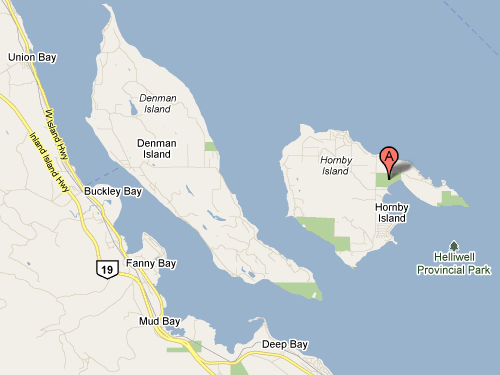 I have been going to Hornby Island all my life and now my sister and my folds live there full time. so I always get a chance to go to the wonderful beaches there. My favorite is whaling station thou. But every one of them is special in its own way.